Join Stitchin' Heaven and friends on a 7-night Alaska Sawyer Glacier Cruise! 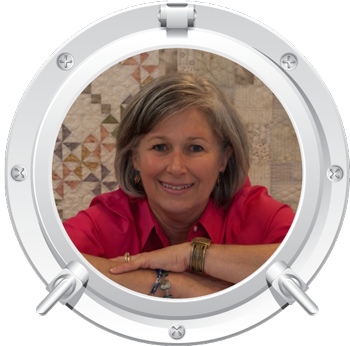 Cruise and learn from quilting experts: Debra Gabel and Donna Thomas. Where to begin? It can be very hard to relax on Royal Caribbean's Jewel of the Seas, even on sea days, because of the head-spinning array of activities that run from dawn to dusk and beyond! The ship's entertainment staff offers an intriguing blend of options, and everyone, from the most traditional passenger to the completely contemporary traveler, will enjoy something. • Lots and lots of door prizes and other great surprises on every trip! Pattern designer, author, teacher, lecturer, Zebra Patterns business owner and award-winning quiltmaker, Debra Gabel has been featured as a "pioneer and rebel" in quilting by Fab Shop news in 2011. Her accomplishments include four published appliqué books to date, two cd’s and over 300 patterns in her Zebra Patterns line. 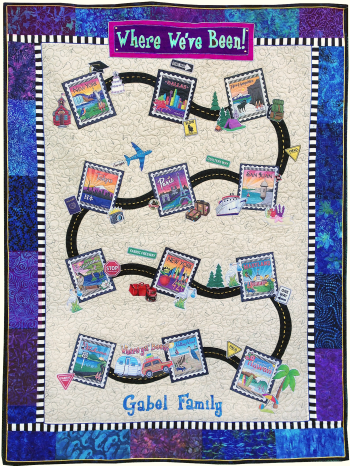 Many memory quilt makers love her signature “postage stamp” patterns and printed panels. She also has an impressive range of beautiful award winning quilts featured in several books as well as numerous magazines. Debra has a gift of sharing her inspiring ideas with her students in such a positive and unique way. Learn more about Debra by visiting her website at www.zebrapatterns.com. Donna has been sewing since the age of four and passionately quilting since 1975. She began teaching in 1981, and while an Army wife, lived in Germany for four years and thoroughly enjoyed teaching at a German quilt shop and various guilds throughout the country. Long out of the Army, the Thomases have settled in Kansas for good. Donna still teaches nationally. The author of 14 titles with Martingale, one self published book, and one with Kansas City Star, she has also contributed articles on various quilt-related subjects to numerous publications over the years. 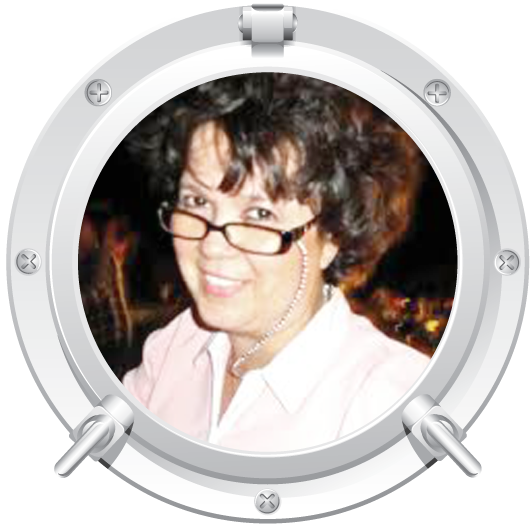 You can see Donna on a couple of QnnTv episodes in recent years and she is the designer of the Omnigrip On-Point Ruler. Debra Gabel's Where Ya Been? It's scrapbooking for quilters with Debra's newest idea called the Where Ya Been quilt! So easy and so much fun! With this project you will be making a roadmap of the places you have visited during your life. This finished quilt will measure 54" x 64". With the purchase of the Sail 'n Sew kit you can choose any 12 panels from the City, International, or State stamps at this link: http://www.zebrapatterns.com/stamps.html. Once you have picked your 12 panels, simply enter your choices in your registration form in the other information section or email them to us. We will also include the "fabric stickers" panel and quilt pattern along with the finishing fabrics to make your project even more fun! 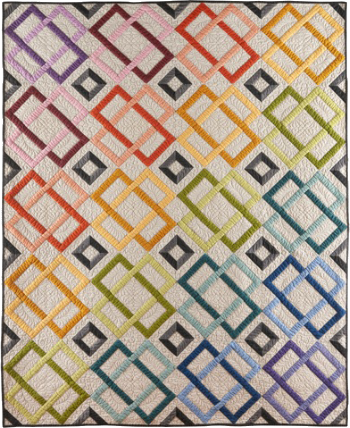 Come learn something completely new but amazingly simple while making this colorful lap quilt, Interlocken. Donna will show you the ins and outs of the On-Point Ruler and how it can make all kinds of things possible beginning with this 48” x 60” quilt. She’ll bring lots of samples from her quilt collection and from her book On-Point Patchwork to inspire you and get the ideas flowing. The sample is made from Pepper Cory’s gorgeous peppered cottons (19 in all) and the kit will include them as well as the ruler and pattern. As always, class will be full of tips, tricks and lots of sewing fun! This kit will be $275.00 and will include the complete "Where Ya Been?" kit (background fabric, borders, binding, 12 geographic panels (city/state/country), "fabric stickers" panel, and the pattern) and the complete Interlocken kit (fabrics for the complete quilt top and the pattern.) Our incredible Sail 'n Sew fabric packs include all of the fabrics for your projects and they are pre-cut so all you need to do is sit down and sew! If you do not wish to purchase a Sail 'n Sew Fabric Pack, remember to pack your own fabrics and purchase your 12 panels from Zebra Patterns as well as the "Fabric Stickers" and pattern. We will not have fabrics available for purchase aboard the ship. A complete supply list will be sent to you 90 days prior to departure. 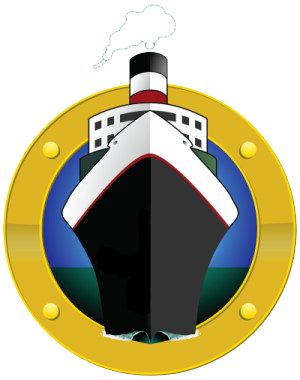 The cost for your Sail ’n Sew Fabric Pack will be included in your final payment balance for the cruise. The Jewel of the Seas was built to let the sights of the sea be the star. Every ship has soaring, sunlit spaces, glass elevators facing the ocean,and more balconies than you’d ever imagine – plus a Solarium pool surrounded by lush tropical foliage. Try your hand at mini golf, rock climbing, or a round of pool on the first self-leveling pools tables at sea. Enjoy new dining and drink venues, an outdoor movie screen, nursery and more new features! Hungry for a dazzling at-sea experience that combines sleek swiftness, panoramic vistas, and an array of our best new dining options? Look no further than the newly renovated Jewel of the Seas. With acres of glass enclosing the nine-story central atrium, elevators facing the sea, and floor-to-ceiling windows throughout, you'll never be at a loss for an incredible view. Plus, we've just added eight new dining experiences, ranging from casual eats at Boardwalk Doghouse, to the family-style Italian fare at Giovanni's Table, to the sizzling skewers of Samba Grill Brazilian Steakhouse. The onboard dining venues cater to any craving. Going hungry is not an option. To make your mouth water, here are just a small few of the options available onboard Royal Caribbean's Jewel of the Seas! The elegant main dining room offers fantastic food and a supremely attentive wait staff. With world-class décor, heavenly entrees, delectable desserts and dining options to suit a range of vacationing needs, this is fine dining that everyone can enjoy. Note: We will be seated as a group for the early Main Dining seating. The Windjammer Café is the perfect place to grab a bite to eat before hitting the pool or enjoy a casual dinner to top off a day of adventure. Open almost around the clock, it offers great food, spectacular views and an attentive wait staff, all in a casual atmosphere. Choose from a wide variety of food and a seemingly never-ending buffet for breakfast, lunch, dinner and snacks throughout the day. Serving stations offer salads, soups, sandwiches and burgers, meat-carving and hot entrées. And for your sweet tooth, choose from a multitude of cookies, cakes and frozen yogurt. The Seaview Cafe is a casual-eats deli cafe offering made-to-order salads, paninis and freshly prepared sandwiches. Don't miss the signature "Kummelweck" roast beef sandwich – a guest favorite. How do you build your dog? Take a seat at the counter of the Boardwalk Dog House for traditional hot dogs, brats, sausages and other delicious linked meats, plus a variety of toppings to split a long bun. Royal Caribbean's popular signature steakhouse, Chops Grill, features grade-A premium cuts of steak cooked to your specifications, plus fresh seafood, hearty side dishes and signature desserts in an upscale, contemporary setting. They have also rolled out Izumi with traditional Asian dishes that will impress you with pure, delicate flavors, freshness of ingredients and impeccable presentation. Choose from sushi rolls, sashimi, hot rock (ishi-yaki) plates, and more. At Rita's Cantina, you can dive into a fiesta of flavor, serving scrumptious Mexican fare along with the widest selection of margaritas at sea. Caters to families by day and grown ups by night, with live guitar music and dancing. A churrascaria with personality and flare, Samba Grill Brazilian Steakhouse features a variety of meats and seafoods carved tableside straight from the skewer, plus a wide selection of soups, salads and appetizers at the buffet. Of course, if none of those sound good, there is 24 Hour Room Service! Morning, noon, night - whenever you like.. Enjoy breakfast in bed, cheesecake on your balcony, or a delicious dinner right in the comfort of your stateroom. *Port charges, taxes & fees of $438.28 are not included. will secure your price and availability. Gratuities are a part of your cruise expense and total $12 per day. This fee covers everyone who serves you while you are onboard including all onboard staff, dining staff, and your cabin steward. Because of our group status, Stitchin' Heaven Travel pays these gratuities for our entire group prior to sailing. Therefore, you will be charged for them at the time of final payment. A 15 percent gratuity is automatically added to bar tabs.